Last week I received an email from one of our coaching clients, and he asked a question that we receive on a regular basis. He asked when the best day/time of day is to call prospects. Great question. The answer is – there is nothing that says a certain day at a certain time is the best time to call. To be sure, you can google this topic and find information that will tell you many different answers. But the truth is, there isn’t a magic bullet, just like there isn’t a magic prospecting script. There is, however, optimal times for you to call your database of prospects. You simply have to figure out when those times are. Before I get into how that is done, I want to address a fallacy. Many who are in sales try to time their prospecting like someone would try to time the stock market. This is a bad idea. Your results will always be better – over time – if you consistently prospect on a daily basis. You just need to keep doing it. 1. Create a system for scheduling your time. This will not work if you aren’t intentional. You can take a look at this post about time-blocking for one way to do this. 2. Call at the same time, every day, for an entire week. And when I say call, I mean for at least an hour. What you are trying to do is collect enough data points to be statistically relevant. Five calls a day isn’t going to be enough. And if this seems like a lot to you, then you will have the added benefit of finding more opportunities than you have in a long time. 3. Track your results. You need to track everything. How many dials did you make? How many connections? How many voicemail? How many gatekeepers? The numbers tell the story. 4. Try this again the next week at a different time. Now you are moving into something marketers call A/B split testing. The idea is to compare 2 different time slots based on metrics, and choose which works the best. Once you have data from two different weeks, you can start comparing. 5. Repeat. So a week at a time, try different blocks of time, constantly comparing them to each other. What you find is that each day will start to have certain times where you will get the best results. But take the long view – run this experiment for 6 months. Gather a tremendous amount of data. Repeat the times that produce the best results to prove it wasn’t an anomaly. Build your week around those times. 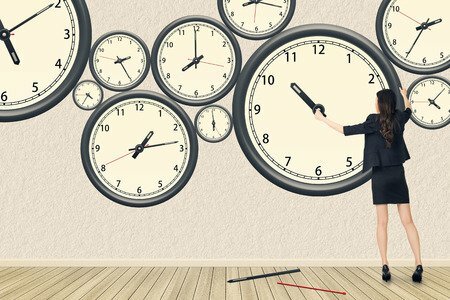 At this point, you will know what time is the best time to call each day of the week – for your database. 6. Protect those times. Prospecting is the most important activity for a sustainable and vibrant career. 7. Continue to tweak your results. Don’t just run this experiment for 6 months, you should always be tracking your results. You should also always be adding to your database. Your results should change as a result. There is an added benefit to this system. You are going to be calling more. I have been coaching CRE brokers for over 6 years now, and very few were making calls on average of 1 hour a day. It is sad. Don’t let the fear of the phone hold you back from your potential. Don’t make excuses about the time of the day to justify not calling. If you don’t put this system into effect in your own business, then just pick up the phone on a daily basis. 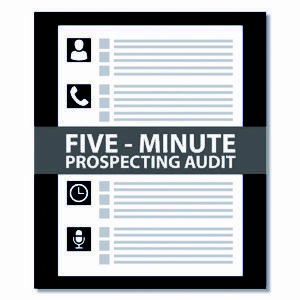 To help get you started, take our new 5-Minute Prospecting Audit – it is our free gift to you. Download it by clicking the button below, and see how you stack up to top producing Massimo Members!